The work of Daido Moryiama and Shomei Tomatsu, the two giants of the Japanese post-war movement presented side by side for the first time in the UK, will be unveiled at the Michael Hoppen Gallery in September. While their photographs differ in style, sentiment is common to both. They address love, anguish and anger with equal power, passion and subtlety. Despite being relatively unknown outside his home country, seventy-seven year old Shomei Tomatsu is widely considered the most important figure in Japanese post-war photography. Combining a unique visual style with personal insight, his work spans a period of more than 50 years, examining the island nation since World War II with quiet brilliance and an uncompromising look on a complex, nuanced subject. His major American retrospective in 2006, Skin of a Nation, was hailed as one of the most important shows of Japanese photography to have been staged in the United States of America. Cinematic in scope and presentation, Tomatsu's first UK exhibition will provide a candid look at the effects of the atomic bombing of Nagasaki, the impact of the Japanese post-1960s economic boom and the continuing influence of American military and popular culture in Okinawa. This exhibition provides a unique opportunity as Tomatsu's work is rarely available or exhibited, though his artistic longevity as a photographer and the esteem of his peers is a tribute to his vast talent. Complicated and disconcerting, Daido Moriyama's raw and visceral work reflects the disruption wreaked by the American World War II occupation and the profound social shifts accelerated by industrialization and urbanization. Examining the collision of a traditionally insular culture and freewheeling capitalism, Moriyama's images are timeless portrayals of the unsettling limbo thrown up by the clash between the old and the new. 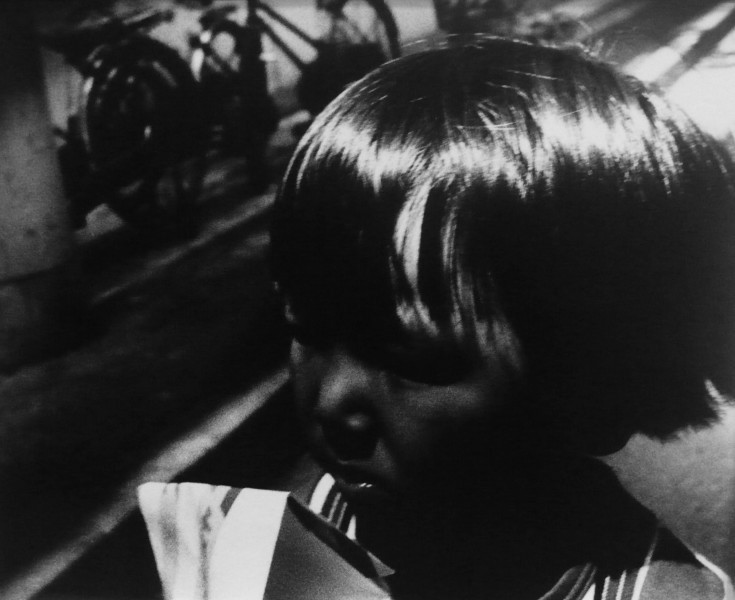 In his early work, Moriyama used grainy textures and chiaroscuro, suggesting an insidious, edgy feeling of isolation with dark, mysterious backgrounds pierced by harsh spotlighting. However since the 1980's, his vision has become lighter, fresher and larger. This new clarity - perhaps reflecting the security of a maturing artist - nonetheless retains the perceptive intellect and compositional power evident throughout his career. 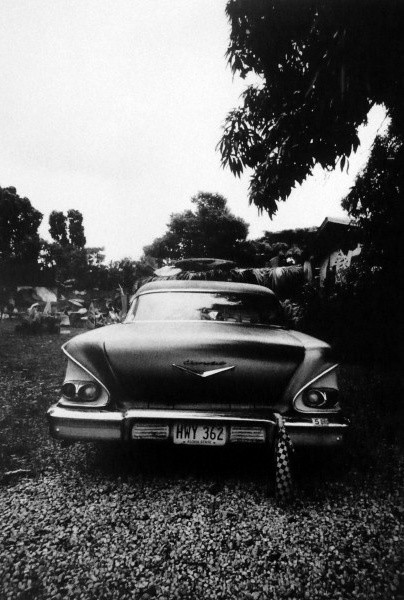 Taking a retrospective look at his oeuvre, the exhibition features vintage works from these earlier periods as well as photographs taken during Moriyama's multiple visits to Hawaii in 2007 and 2008. Exhibited in 2009 at the Metropolitan Museum of Photography in Tokyo, these large prints are unique editions of one. A group of these prints will form part of the exhibition, giving collectors and scholars an opportunity to compare and confront the two masters of Japan's fascinating and complex post-World War II regeneration.